Perched along the river of the same name, Hudson, New York was once the 24th largest city in the United States, an important trading post and site of Martin Van Buren's first law practice. That early prominence helped its mile-long main thoroughfare, Warren Street, attain a small-scale grandeur that has been preserved to this day. While it hasn't been uninterrupted smooth-sailing for Hudson-a period of decline extending into the mid-20th century saw the town become a center of vice in the region-its fortunes improved again in the 1980s as the first antiques dealers opened up shop along Warren Street, sparking a rebirth that continues unabated. 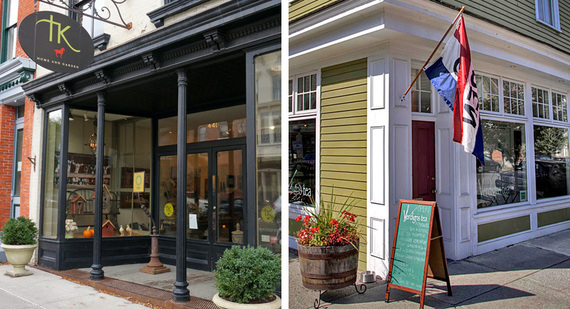 It's no longer the major city it was in the early days of America, but Hudson's charm factor is as robust as ever, and retail options along Warren Street today extend far beyond antiques.